The Isaac Cable Blanket is a thick, chunky 100% Merino Wool knit. Incredibly warm and a generous size (100cm x 130cm). 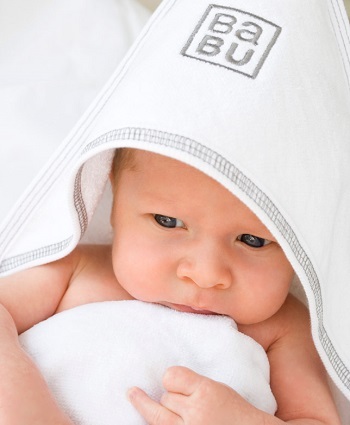 Babu merino blankets are soft & warm. This gorgeous blanket is one our favourites, made from 100% merino wool sourced from New Zealand & Australia and knitted in India. Whether you use it on a cot, on a single bed for extra warmth or as a throw for your couch, it’s perfect for snuggling up in. Washing instructions: we recommend you shake & air this item before use. Handwash or machine (wool cycle) wash in 30c max on a short and lower spin cycle. Very happy with this purchase - bought one for me and one as a gift, and very glad I did. Not at all like the blankets you'll find at Briscoes et al - this is thick, warm, beautifully textured and baby-soft. Lovely colour too (we have the brown). At the moment it's used as an extra in my two year-old's cot over a sleeping bag, and as a snuggly blanket for reading stories under. I can see us using it for years and years on a 'big boy bed' though. I was so happy with this blanket when it arrived! My son loves to snuggle but he has to steal it from me as I love it too. Have just purchased another one for our bubs due in a few months. A timeless pattern and sure to be loved for a lifetime!!! We got two of these, and they're really a good deal. It's rare to find 100% merino blankets in this price range, and these are very pretty and warm. I'm looking forward to my babies outgrowing the cot so I can steal these and use them as throws!